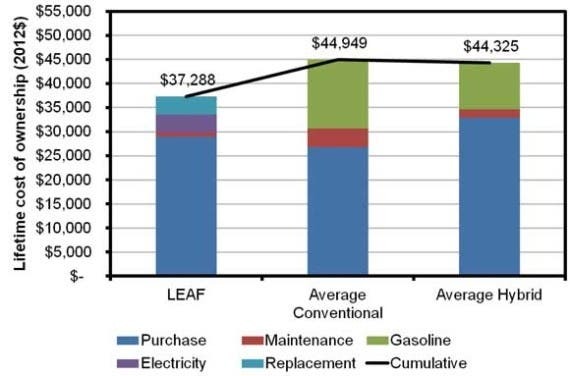 New analysis from America’s Electric Power Research Institute (EPRI) has come up with some interesting figures that suggest the number-one obstacle for mass adoption of electric vehicles – prohibitive cost – could be on the way out. Greentech Media reports that the study – which compared the 2012 prices of the fully electric Nissan Leaf (graph 1) and the hybrid plug-in Chevy Volt (graph 2) against comparable petrol-fuelled cars on the market – found the two EVs were within 10 per cent of conventional vehicles. 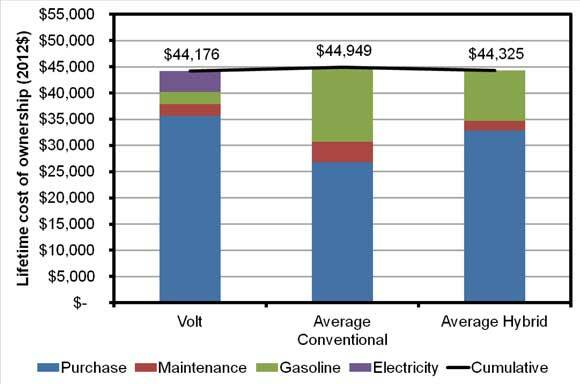 The study found that petrol prices were one of the major factors affecting this balance, but the bad news – for us in Australia, anyway – is that America’s state and federal EV incentives were an even more important contributing factor, as were capital costs, which are being driven down in the US in what appears to be an electric car price war. Driving habits and maintenance also played a role. 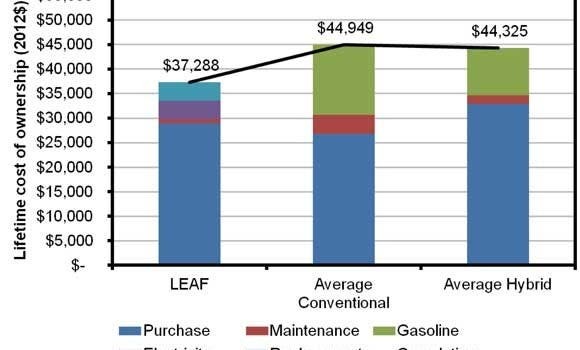 Notably, the price of the 2013 Nissan Leaf is about $6000 lower than the price of the 2012 Nissan Leaf — thanks to Nissan moving manufacturing to the US — and the Chevy Volt has seen a $4000+ price cut in recent weeks. We’re unsure what the price of the new Volt will be, but within a few years or so, GM intends to get the price of the Volt down by $7,000–$10,000. Even if you remove federal tax credits for electric vehicles (which wouldn’t really make sense until we put an adequate price on carbon dioxide), some electric leaders are already clearly competitive.